The world's most expensive cognac which is packaged by jeweler Jose Davalos, is the Henri IV Dudognon Heritage dubbed as the DNA of cognacs. 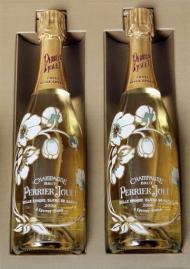 This ultra expensive liquor which has been produced since 1776, is aged in barrels for more than 100 years. 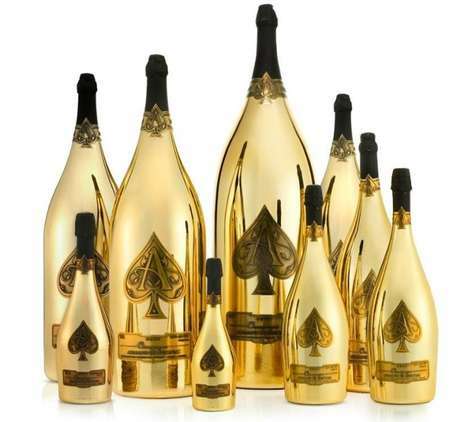 The cognac is then bottled in a bejeweled bottle which is dipped in 24 K gold and sterling platinum and decorated with 6,500 brilliant cut diamonds. So I don't suppose this bottle gets recycled when empty. Anyway, with an alcohol content of 41%, our Henri IV Dudognon Heritage bottle weighs approximately 8 kilograms and it is filled with 100 cl. of the precious liquor. 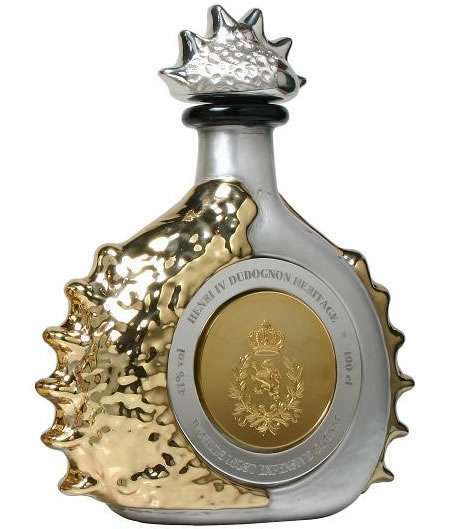 The Henri IV Dudognon Heritage is priced at 1 million sterling pounds or US $1,982,300 per bottle. Cheers.